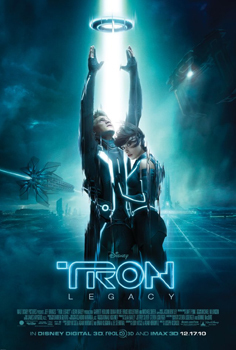 After years of teasing, Tron: Legacy is almost here, but estimates are implying that the film might be a box office dud. When Tron was first released in 1982, it wasn't nearly the financial success that Disney was hoping for, but it wasn't exactly a box office bomb, either (it grossed $33 million on a $17 million budget). With the amount that Disney is promoting Tron: Legacy, one would think the movie will probably succeed where its predecessor failed, but early tracking for the $200 million sequel is painting a potentially bleak picture of the movie's expected box office performance. The Hollywood Reporter is noting that the movie's opening weekend is looking pretty weak - low estimates claim the movie could make as little as $35 million in the U.S. However, the movie apparently needs to make at least $50 million during its opening in order to recover its budget. One of the major problems is that the film doesn't seem terribly appealing to female audiences, so "Disney is scrambling to find ways to garner more female interest in the film." Of course, this is all just speculation right now, so none of this is definite. I spent Thanksgiving weekend in Los Angeles and, aside from being pummeled with advertising for Tron: Legacy all over the city, I heard a lot of people talking about how they were looking forward to seeing the film when I went to a big movie theater. I'm a huge Tron fan, so I don't have any problem with contributing to the movie's opening weekend revenue (especially if Flagstaff gets a midnight opening I can attend).